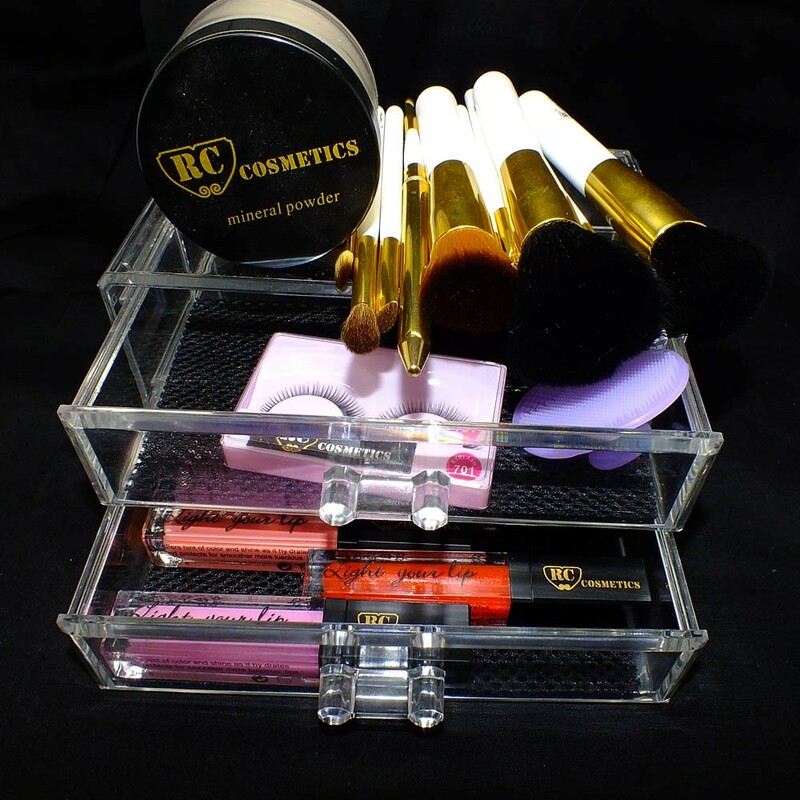 This see-through acrylic cosmetic organizer makes all your makeup essentials easy and fast to find. 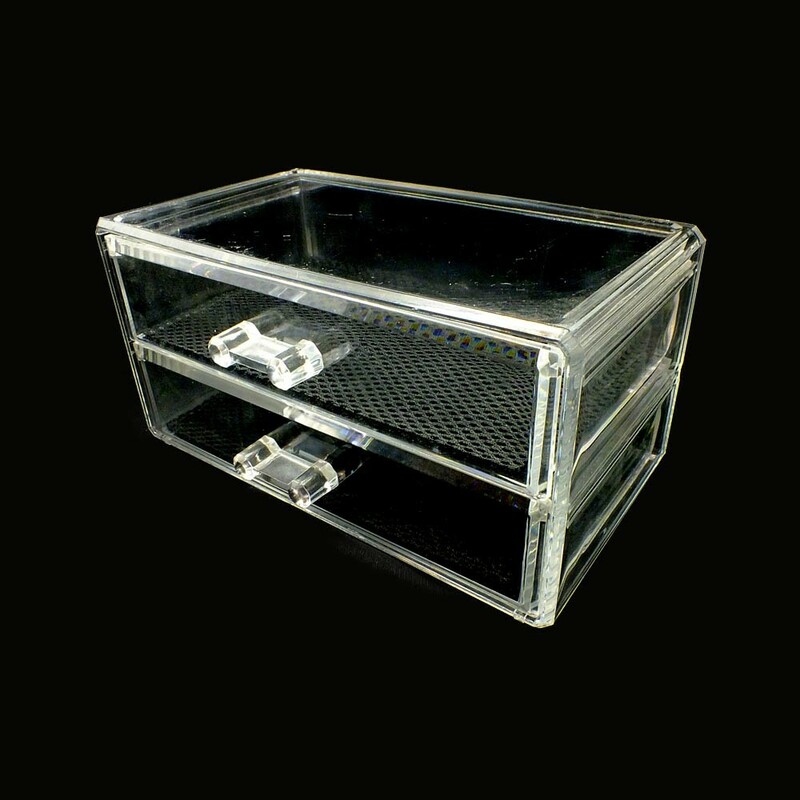 With our clear makeup case, it is so easy to hold all your commonly used cosmetics (lipstick, mascara, eyeliner, etc) right at your fingertips. You can also store jewelry, watches, hair accessories or whatever in these 2 easy-sliding drawers. Removable black mesh padding keeps jewelry protected and in place. This elegant container will be ideal for an easy access to cosmetics and can be put on a shelf or a dresser top. Keep your makeup tools in a neat and stylish way! 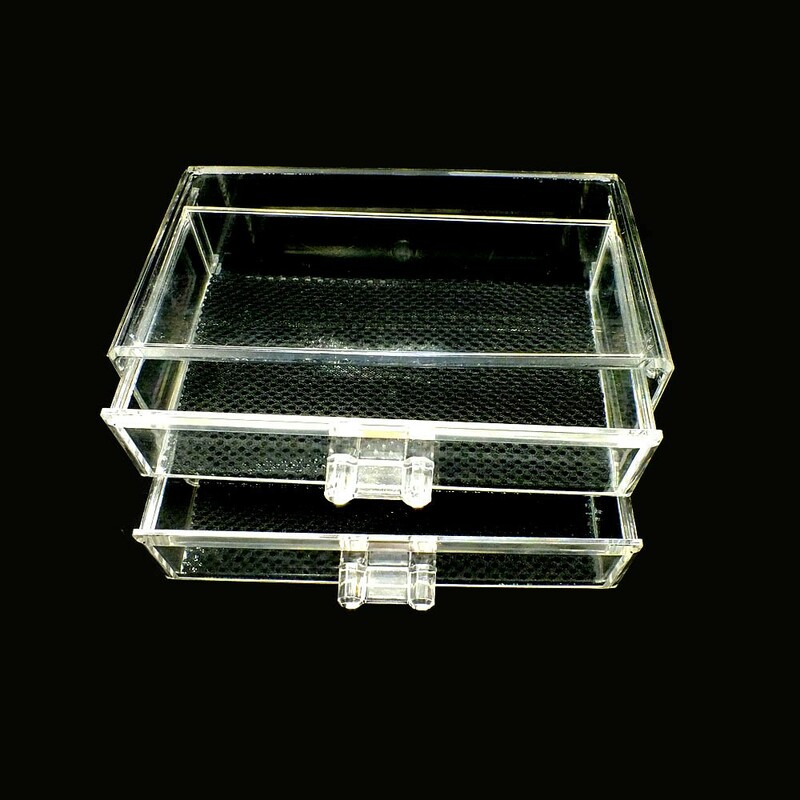 Please, avoid scratching and do not put heavy things on the top of this cosmetic organizer – and it will serve you for a long time as a new one.